Heidi Thompson is Director of Property at Kirklees Neighbourhood Housing (KNH), having over 25 years of experience within the social housing sector and the construction industry. A building surveyor by profession, she has responsibility for managing and growing the KNH Property Directorate, which currently has an annual turnover in excess of £60m, and she manages approximately 600 staff. 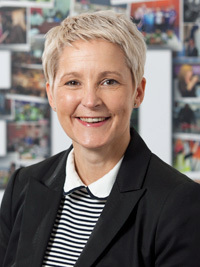 Heidi is a Member Director of Efficiency North, as well as being co-founder and Chair of the Yorkshire and Humber branch of Women in Social Housing (WISH). I started my career in a local authority, at St. Edmundsbury Borough Council in rural Suffolk as a trainee architectural and surveying assistant. I spent the first few years training as an architectural technologist and was given the opportunity to study for a degree. I chose surveying as although by this time I was a Chartered Architectural Technologist, I didn’t really want to be an architect so I chose a B.Sc. (Hons) in Building Surveying. I spent the next five years working on a range of unusual projects, including ancient monuments, buildings of national historic importance, English Heritage listed buildings, conversion of an old Victorian school into housing, town hall refurbishment etc. This gave me a great breadth of experience and an opportunity for which I will always be grateful. When I moved to Lincoln some years later I became involved in social housing. This was when the Decent Homes Standard was introduced and I worked as the maintenance manager for a large housing association leading a team of around 12. When the opportunity arose for the head of maintenance at City of Lincoln Council I applied and got the job. This was my first introduction to leading a blue-collar workforce and managing a DLO [direct labour organisation] and technical team. I set up a £55m partnership to deliver the decent homes works and although now pretty common, in those days it was quite unusual. I then wanted a new challenge so I moved to Kier where I reported directly to the managing director. 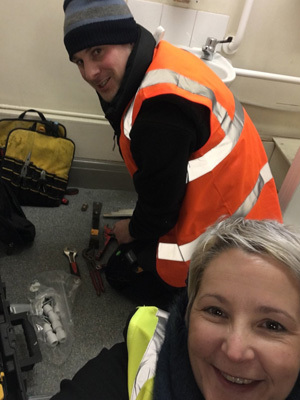 My role was to help improve client relationships through account management and also leading a workforce on repairs, maintenance and improvement works on various contracts throughout Lincolnshire. I spent a number of years with Kier where I gained invaluable experience about running a commercial business including finances, marketing and managing teams. I then moved to Willmott Dixon in a similar role but I also gained experience in business development and strategic account management. 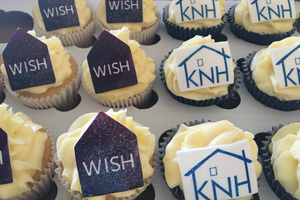 All these positions enabled me to gain a breadth of experience that has allowed me to develop both personally and professionally and prepared me for my role with KNH [Kirklees Neighbourhood Housing] as Director of Property. As a director and a member of the senior leadership team my daily work is extremely varied. The social housing sector offers a lot of challenges and I love the varied nature of the work I do. There are expectations to do more with less to drive through efficiencies so we are constantly looking at new ways to drive down costs and maximise value for money. We are currently leading a major restructure and transformational change programme throughout the organisation that requires people to think differently, including major cultural change to make the necessary and significant savings. A lot of my work includes attending meetings, dropping into team meetings, liaison with other departments, with the council etc. 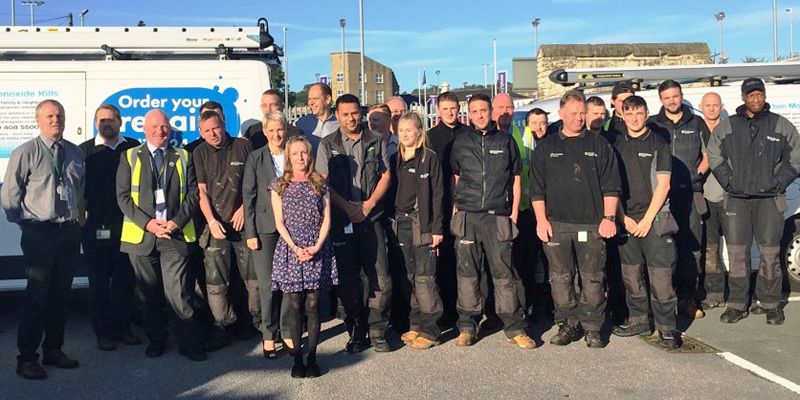 Planning and strategy delivery form a large part of my work; this includes sharing the vision, ensuring that all the right resources are allocated to meet our ambitious targets and the expectations of our customers. A highlight of my job is when I go out on the vans with an operative. I try to do this once a month as not only does it allow me to be visible to my team, but also allows me see for myself what they face on a daily basis and also meet our customers, KNH tenants. People live such diverse lives and some face major challenges, and I find it genuinely interesting meeting and talking to people from the communities we serve. The media has not been kind to social housing tenants but this portrayal is untrue. Life is tough and the majority of people I see and meet are just trying to do the best with what they have and we just try to help where we can. I have found that the gender balance in the social housing sector is pretty good generally, in particular in more traditional roles such as housing officers, customer services etc. I am proud to be part of an all-female executive team, led by a forward-thinking female CEO, Liz Cook, and our senior leadership team. This is still considered pretty unique and breaks the mould of the traditional ‘boys club’. In relation to gender balance in construction and the trades, the social housing sector still has a long way to go, but is no worse than any other. Within my own workforce sadly only 2% of the team are female. I am determined to change this but it is very difficult to encourage women into the sector when awareness is so poor and people don’t know what a rich and rewarding career it can provide. I decided to set up the Women in Social Housing group for Yorkshire and Humber region following a conversation with co-founder Karen Temple, managing director for NPS in Barnsley. We were at a dinner and mentioned how much we hated turning up to an event where we were usually the only women in the room. Most in attendance were part of the boring ‘grey suit, grey hair’ brigade with little diversity and struggled to get good connections and contacts. We also found some of the other networks available a little serious and intimidating, so we got in touch with WISH and the Yorkshire and Humber branch was born! We have gone from strength to strength in the two years it has been in place and have a great reputation with a credible network. We never exclude men from our events as we know we need their support to help change attitudes and reduce the gender gap in our sector. Our board has some amazing women that range from experienced directors to young women who are just beginning their careers. The network is there to help support women to grow and develop into anything they want to be. I have personally met some wonderful people, made some great friends and seen my own confidence grow thanks to the excellent opportunities WISH brings. I have met so many beautiful, talented and capable women who have little or no confidence from all levels or the sector, including chief executives. Our events are not traditional CPD type events around legal, technical or general housing updates – there are plenty of good forums around for that already. 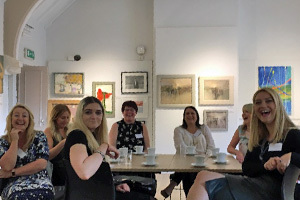 Our events are designed to help individuals to build confidence, improve their own personal development and get some help from others along the way. 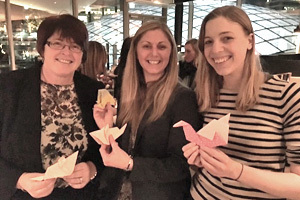 It is important to us that we are not seen as a stuffy network so we also hold some fun events throughout the year that have included a brewery visit, a Molton Brown pamper evening and cocktail making to name a few. We generally provide a relaxed place where you can meet like-minded people and have a little fun in the process! Efficiency North is a consortium of social housing providers committed to working collaboratively to generate long term sustainable efficiency savings in the construction and maintenance supply chain whilst providing social benefit through procurement. 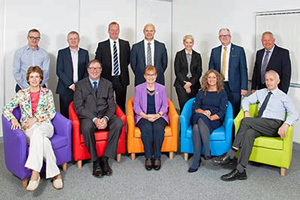 The board is made up of, three independent directors, and seven directors reflecting the membership which consists of local authorities, arms-length management organisations and registered social landlords. As KNH is a member, I am a member director of the board. The role is relatively new but I love that I can be part of shaping a great ‘not for profit’ organisation that has a ‘social heart’. EN:Able Communities is a great initiative that really benefits local communities, but my particular interest lies in the new venture EN:Able Futures. This will deliver shared apprenticeships around an academy model in investment, asset management, development and customer services to address the white-collar skills shortage. I can see great links to not only the member organisations, including KNH, but also WISH. There needs to be more done at a younger age to change the mind-set and stereotypical roles for boys and girls. I admire the work Mears Group has been doing regarding the Women in Construction Initiative and their new innovative toolkit. This links to the school curriculum and successfully engages with young women. Although career fairs are a good way of enabling companies to gain some awareness, I personally find they tend to be trade focussed, and will only reach a small percentage of young people who generally know what they want to do. I have spoken to young adults, predominately female, who continue to voice hairdressing and beauty as their career of choice. Whilst this is a choice, these jobs tend to have a low salary and should not be seen as their only option. Furthermore, the majority see construction as a ‘dirty’ job with no real prospects. We need to do more to raise the profile of the diverse careers available in construction by sharing experiences and inspiring children / young adults by getting out into the communities we serve and finding the hard to reach young who potentially have no hope, no good role models and no future. This is where I will personally be looking in 2018. I can foresee an extremely busy time for KNH, WISH Yorkshire and Humber and Efficiency North – all three are on the cusp of new beginnings and I am genuinely excited to be part of it. The transformational programme will continue at KNH but we are ambitious. I am proud of our workforce and I have no reason to doubt that we can grow the organisation. Brexit will bring its challenges and I am aware if we don’t act now we will not have the right skills and experience required to deliver our growth plans. So, I will be looking to maximise the apprenticeship levy to develop our workforce and also bring in new apprentices but not just trades, we need good technical people too. I am in discussions with Efficiency North to see how we can create a KNH Academy that will not only help to strengthen our own people and workforce, but also wider communities and although it is early days, this is something that I am keen to develop. This will also tie into the new EN:Able Futures programme where we can assist the local economy through apprenticeships and work experience. WISH Yorkshire and Humber will continue to grow and we have just strengthened our board with three new members – all three are incredible young women who started as ambassadors for WISH. We can also see the benefits of collaborative working and are in discussions with the CIH [the Chartered Institute of Housing] to see how we can work more effectively together and inevitably I am introducing Efficiency North to CIH and WISH. I believe this will make a formidable partnership that will help inspire and enhance women, whilst breaking down barriers to enable them to be the best that they possibly can and to achieve anything they want to do – and that’s what it’s all about really.